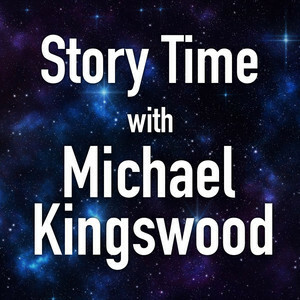 We found 10 episodes of Story Time With Michael Kingswood with the tag “writing”. Reading Chapters 3 & 4 of Glimmer Vale, book one of the Glimmer Vale Chronicles. At long last, we're starting with Glimmer Vale, Glimmer Vale Chronicles #1. This is the first of my Glimmer Vale Chronicles series, which currently consists of 5 novels and 1 short story, with more to come. Part three of What Lurks Between, a scifi/horror novella. Back to reading What Lurks Between. This week is part two. This week I'm diverging for a bit to talk about Cobra Kai, the awesomest new show I've seen in a while. Be warned, there are spoilers ahead. Reading the first part of my scifi horror novella, What Lurks Between. The first chapter from Glimmer Vale, the first book in my Glimmer Vale Chronicles series. Reading the last of my Larian Elesir stories, Grandfather's Pendant, a sword and sorcery novelette. Reading my scifi mystery/political intrigue story, Facilitated Interrogation.